If you're one of the souls lucky enough to own a delicious ultra-thin Xperia Z3 Tablet Compact, then you're probably sitting with a big grin on your face. After all, you own of the best Android tablets in the world. However, you may be having some troubles with its battery life. Never fear! AndroidPIT is here to offer you some of the finest battery saving tips for the Xperia Z3 Tablet Compact. Are you ready? We'll start with the obvious. It should come as no surprise that higher screen brightness leads to higher battery drain. But just in case, we're giving putting it front and center (and top). Your screen is 99% of the time the biggest source of battery drain on a device, having it set to maximum brightness even in dim light is just unnecessary. You can set it to automatically detect brightness levels and adjust on its own, but for the best experience you should manually adjust the brightness as and when necessary. Yes believe it or not even your choice of wallpaper can have an affect on your batter lives. Fancy live wallpapers may look good, but they are ultimately more harmful than static ones. The latest round of Xperia devices all come with a live background as standard. Change it for a darker classic wallpaper. Sony always includes a nice set of power management options with its Xperia UI, and the Z3 Tablet Compact's range is rather useful. It's important to make use of these if you want to get the most from your device, as enabling things like location based Wi-Fi have no real downside. This is another obvious solution which gets overlooked. With Android 5.0 Lollipop offering a supposed 10% battery life improvement, there's more of a reason than ever to update to the new OS as soon as possible. This goes for any software update, as they usually bring improvements to help your device last longer. 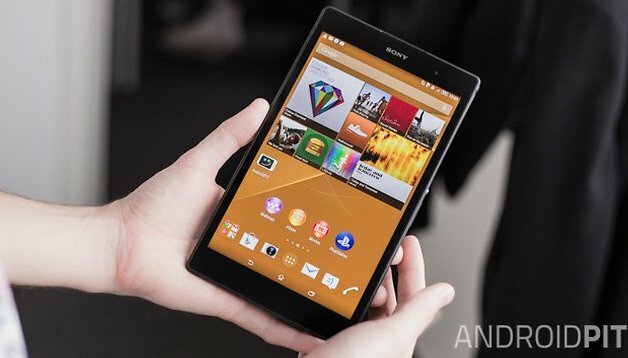 There is a hidden menu on your Xperia Z3 Tablet Compact known as "developer options" which you can enable in your "about tablet" menu. While in there, tap on the build number a few times until you get the message "congratulations, you are now an Android developer". This unlocks a new menu which offers you the potential to change a number of aspects of your phone, and one of these is the animations. Animations use up a small amount of battery, but they are purely aesthetic. Turning them off only affects how pretty some of the transitions look. They can afford to be lost. Widgets can refresh away in the background, and if you aren't using them, what's the point? Weather apps like to update frequently, but if you only check the weather once every few hours, make sure it's not updating every 15 minutes. As with widgets, the rate at which your email syncs can also have a bearing on how much battery is used. Consider only checking for emails manually, when you wish to see if something new has arrived. Finally, a really simple thing to do is to turn off your BlueTooth, NFC and GPS. These should all be switched off when not in use, as they can quickly deplete energy. Just drag down your quick settings menu (by dragging from the top of any page with two fingers) and ensure they are all switched off. These are just some of our Xperia Z3 Tablet Compact battery tips. Do you have any others? Let us know in comments below. Settings are also useful for other tablet models.